Founded in 1989, Friends of Carmel Forest is committed to protect, sustain and enhance Carmel's forest. We encourage public awareness and care for the trees through educational programs, publications, tree planting, surveys, and other activities. A 501(c)(3) non-profit organization, we are an official support group of the City of Carmel-by-the-Sea. 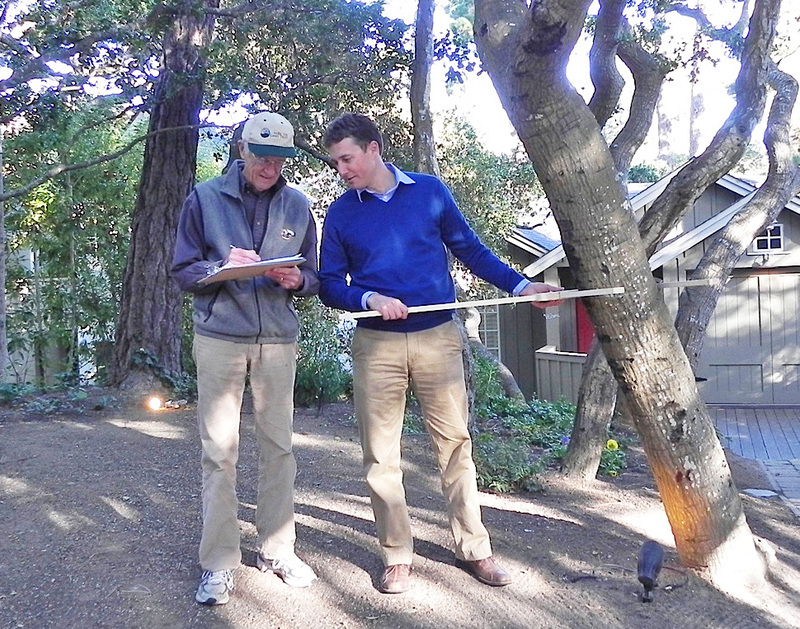 Each fall, we count and measure trees in Carmel-by-the-Sea. Since 1971, our wonderful volunteers have collected survey data that helps to manage Carmel's forest. We create events that are informative and celebrate our forest. Often in partnership with the city, themes have included art and photography, pruning, landscaping, and the value of trees. Our native Cypress, Monterey Pines and Coast Live Oaks are tended to by students at Carmel Middle School's MEarth. Our popular summer Tree Walks are informative and fun! Featuring expert speakers, this is a great way to get to know and appreciate Carmel's unique ecosystem. In 1989, a group of citizens headed by Clayton Anderson realized what a significant role the forest plays in the ambiance of Carmel and wanted to advocate for it. Concerned about the deteriorating state of Carmel's urban forest due to a triple threat - old age, disease, and construction impacts - the group took immediate steps to bring the plight of the trees to the attention of the mayor, the city council, and the residents of the village through the formation of Friends of Carmel Forest. The first president was Barbara Timmins Livingston, a Carmel native. Articles of incorporation were drawn up, a board was established, and the rest, as they say, is history. The greatest history was made with the Burl Ives Concert at Sunset Cultural Center Theater. This concert was the last of Burl Ives' illustrious career and it drew a capacity crowd. We are forever grateful to the great Burl Ives for accepting the invitation of his good friend, Clayton Anderson, to perform for the benefit of the Friends of Carmel Forest.